Phil Coley pictured with Roger Witts and Justine Norman from Impcross. Impcross recently supported a solo charity challenge in aid of Macmillan and CCP. The challenge was a 360 mile walk covering Gloucestershire in 12 days sleeping rough each night to raise funds and awareness and was undertaken by local man, Phil Coley from Tewkesbury. 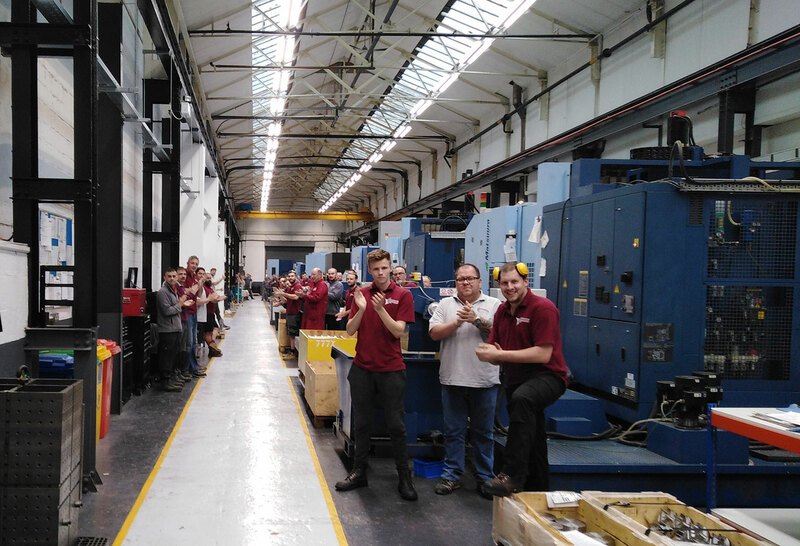 On the final day Phil headed to Stroud and completed some of his distance walking through the Impcross factory cheered on by the staff. “Impcross are very proud of being based in Gloucestershire, our home for nearly 50 years since we were founded in 1969, the challenge resonated with the values we hold close to our heart. The challenge that Phil undertook was certainly gruelling and we were only too pleased to support it and support the two charities”. said Impcross CEO Dale Ballinger. Phil finished his walk at the Gloucestershire Business Awards and raised over £7,000 including gift aid for the two charities and the money will be spent within the County. 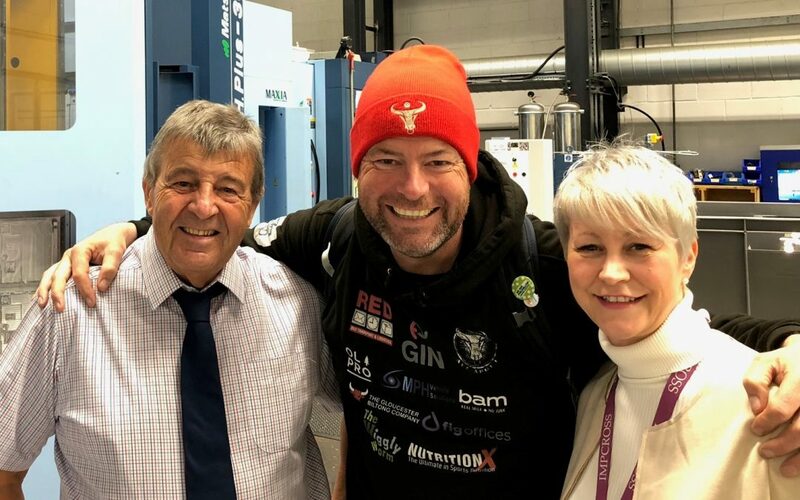 “I was very humbled by all the support that I received from so many different people and was so moved by the reception I had from Impcross and all the staff when I arrived and walked through the factory. Impcross are a great Gloucestershire company with a reputation worldwide but they still have their heart in the community and I am so thankful to them for their support” said Phil. Impcross Staff welcome Phil through the factory.